Alexa Rose Summersett, 15, of Berne, IN passed away Sunday, January 13, 2019 at Adams Memorial Hospital. Alexa was born on July 12, 2003 in Adams County to Timothy D. and Valerie M. (Rush) Summersett. Alexa grew up attending the 1st Missionary Church in Berne and recently started attending Pleasant Dale Church of the Brethren with her family. Alexa was a beautiful, fun, compassionate, and thoughtful young lady who cared about others. Alexa enjoyed riding horses, swimming, driving, and writing poetry. 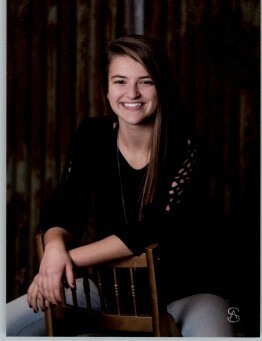 Alexa was a freshman at South Adams High School, where she was involved in volleyball, Peer Mentors, S.A.D.D. (Students Against Destructive Decisions) and Dots in Blue Water. She was also involved with F.C.A. (Fellowship of Christian Athletes) and the Pleasant Dale Youth group. Alexa is survived by her parents, Timothy and Valerie Summersett of Berne; a sister, Chloe N. Summersett and a brother, Wesley R. Summersett both at home; maternal grandparents, Mike and Debbie Rush of Strongsville, OH; paternal grandparents, Kip and Linda Summersett of Berne; several aunts, uncles and cousins. Visitation will be from 1:00 – 8:00 p.m. Thursday, January 17, 2019 at the 1st Missionary Church in Berne. Funeral service will be held at 3:00 p.m. Friday, January 18, 2019 also at the church with calling from 2:00-3:00 p.m. Pastor Jay Carter and Pastor Jon Crandall will be officiating. Burial will be in M.R.E. Cemetery, Berne. Memorials are to CMMW (Children’s Medical Mission West) or Dots in Blue Water. Arrangements were handled by: Haggard-Sefton-Hirschy & Zelt Funeral Home, Decatur.